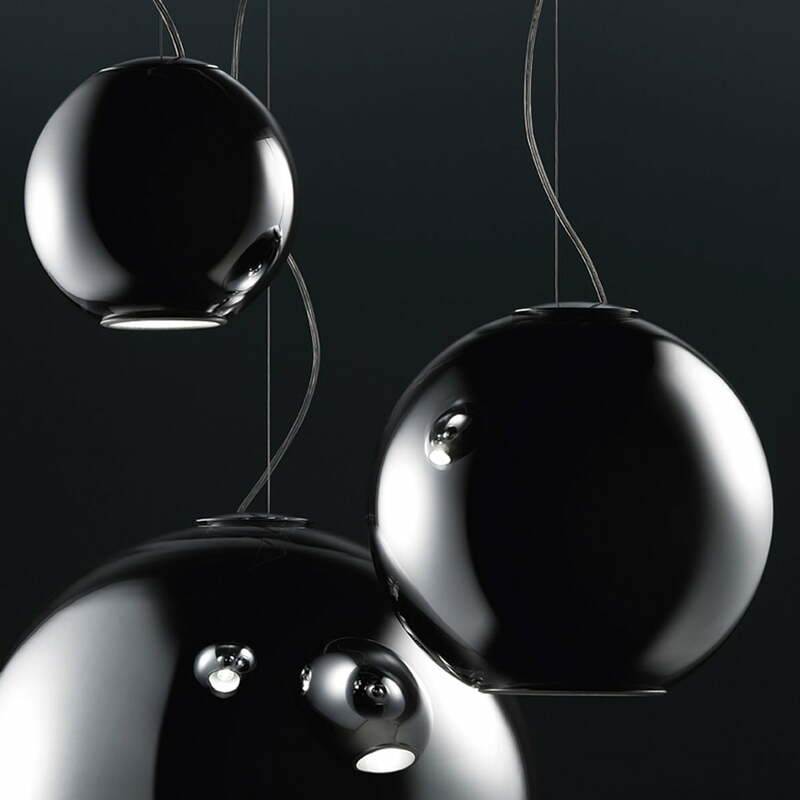 The Globe di Luce is a spherical pendant lamp made of mouth blown metallized glass in shiny chrome look. 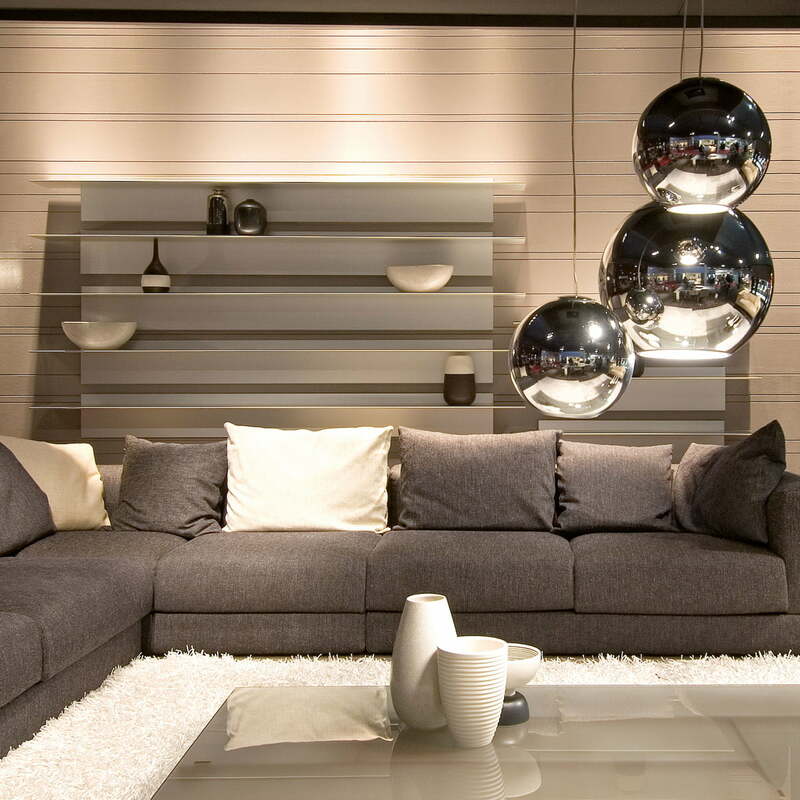 The transparent lampshade reflects the surrounding und illuminates directly a the spot underneath. Ideal to light your dining table, kitchen counter and other areas. 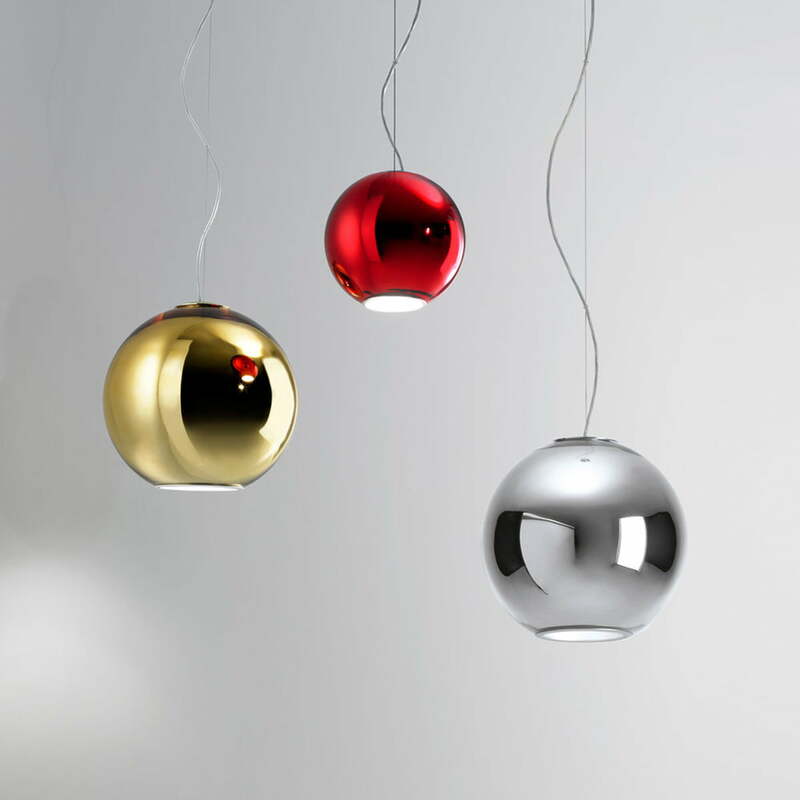 The design of the "light globe" is from the Italian Roberto Menghi, who invented the design already in 1968. A true retro design which exudes the 60s charm and at the same time delights with a timeless elegance, making the luminaire still today to a real eye-cather. 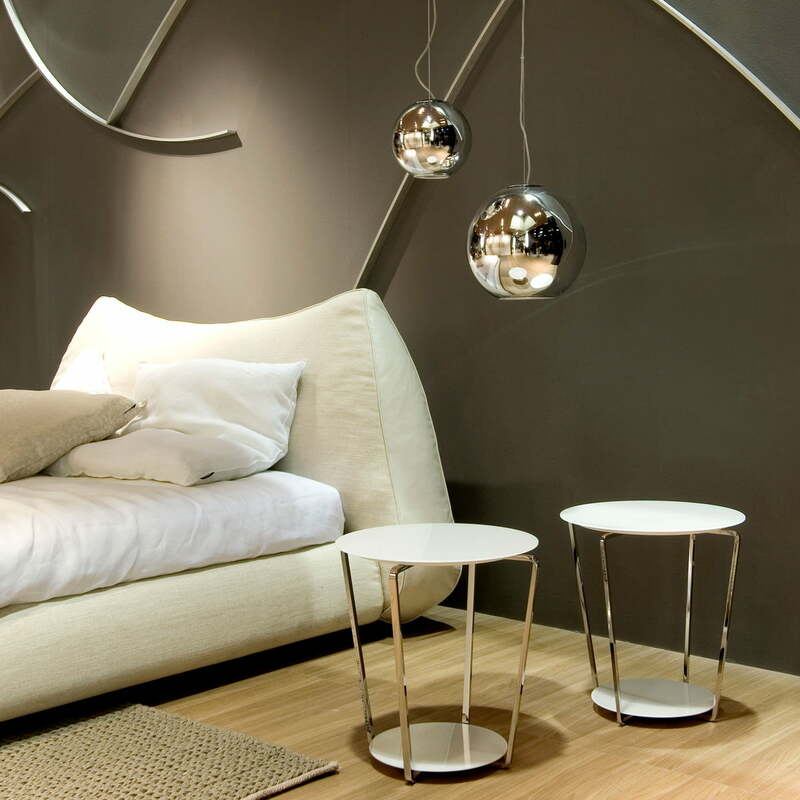 The round GLobo di Luce pendant lamp by FontanaArte is made of mouth blown glass, the reflector out of anodized aluminium. The cable is transparent without disturbing the floating appearance of the lamp. The shiny surface enables versatile light effects and mirrors the surroundings. 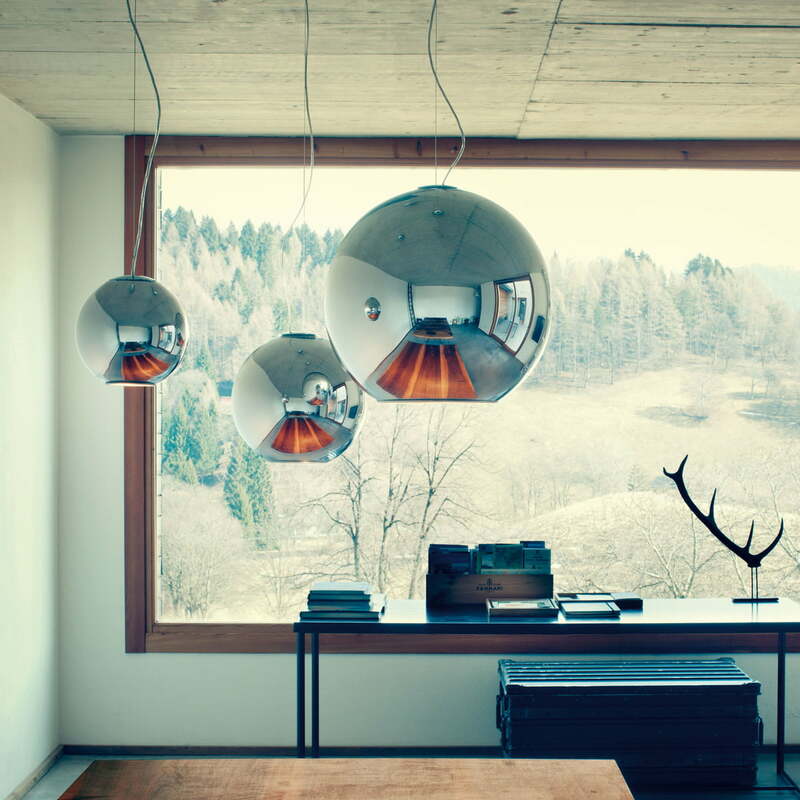 In addition to the glass Globo light available in different sizes, the luminaire is also available in a copper finish.